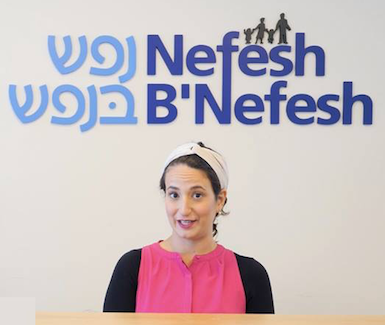 Today your Waze navigation advice is from Nefesh B’Nefesh! So in honor of Israel’s 70th Birthday, President Rivlin lent his voice to the navigation App Waze! But guess what? He wasn’t their first choice! Waze tested several other Israeli public figures and Organizations, yet for various reasons, they just didn’t work out. But the Daily Freier is providing YOU our loyal readers with the transcripts of the rejected applicants. Yesterday we published author/journalist Sarah Tuttle-Singer’s Waze narration. And today we provide you the Waze instructions provided by your Nefesh B’Nefesh Aliyah Counselor. Her name is BatSheva. Or Elisheva. Or Just Sheva. We kinda forgot. Anyhoo, strap in! It’s going to be a Wild Ride! OMG Hi! Wait, you just did a Semester at Hebrew University??? Wow, that sounds A-MA-ZING! Isn’t Israeli Higher Education Incredible? You know, if you were a citizen, it would be MUCH cheaper! Hint, Hint! …… Ha Ha! Just Kidding! Not Really! OK, So where are we going today? The Airport? You’re flying to London for an Internship? Ummm, yeah….. Not really feeling that, you know? I mean, No beaches in London, LOL! So yeah, what time is your flight? 3 hours? OK, Fine. What’s that? You think we’re going the wrong way to the airport? Oh no, this is a shortcut. Only Olim know it! OK, back to your plans. Because to tell you the truth, I really think you should make Aliyah. And Israel is so Diverse! I mean, it’s not just Jerusalem and Tel Aviv. Haifa is Amazing. And there’s the Galilee! Can I interest you in our “Go North” program? What’s that? You think you’re going to miss your flight to London because it’s been 45 minutes and we still haven’t gotten on the Highway?? Maybe that’s a sign from HaShem! Because to be honest, I think you’re making a Huge Mistake. At the very least you should do a MASA program until you come to your senses and give up this silly idea of living in Chul. Wait a minute, it looks like we somehow ended up at the Nefesh B’Nefesh Jerusalem office. And we’re just in time for this week’s Aliyah fair! It’s a one-stop shop for you to get all of your paperwork in order. If everything goes right, we can submit your Aliyah application tomorrow morning! Isn’t this incredible? What are the Odds? I mean, Only in Israel, right?